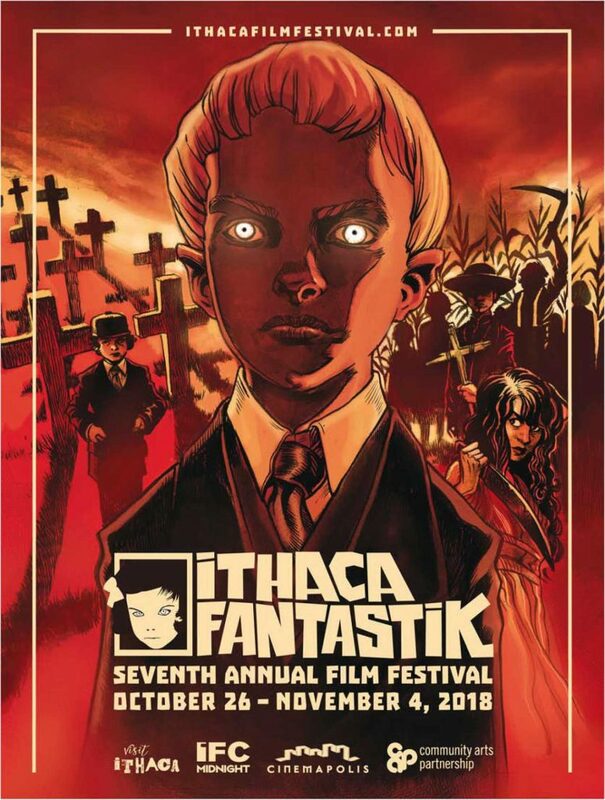 The final wave of features and other programming has been announced for this year’s Ithaca Fantastik festival, and it includes a number of can’t-miss fright films. Ithaca Fantastik, which takes place October 26-November 4 in the upstate New York city, will showcase a number of 2018 festival favorites, including Tilman Singer’s LUZ (pictured, and reviewed here), Daniel Goldhaber and Isa Mazzei’s CAM (reviewed here), and Shinichiro Ueda’s ONE CUT OF THE DEAD, along with Olivier Afonso’s GIRLS WITH BALLS, Perry Blackshear’s THE RUSALKA and A.T. White’s STARFISH, the latter two with the directors in attendance. Horror veteran Frank Henenlotter will also be on hand with his documentary BOILED ANGELS: THE TRIAL OF MIKE DIANA (Diana and producer Mike Hunchback will appear as well), and there will be a special screening of William Castle’s classic THE TINGLER with in-theater gimmicks. Then there will be an evil-kid retrospective showcasing WHO CAN KILL A CHILD?, THE BAD SEED and BLOODY BIRTHDAY, numerous horror shorts, a half-dozen VR experiences (including Alexandre Aja’s CAMPFIRE CREEPERS) and lots more. For further info, head over to the Ithaca Fantastik website.